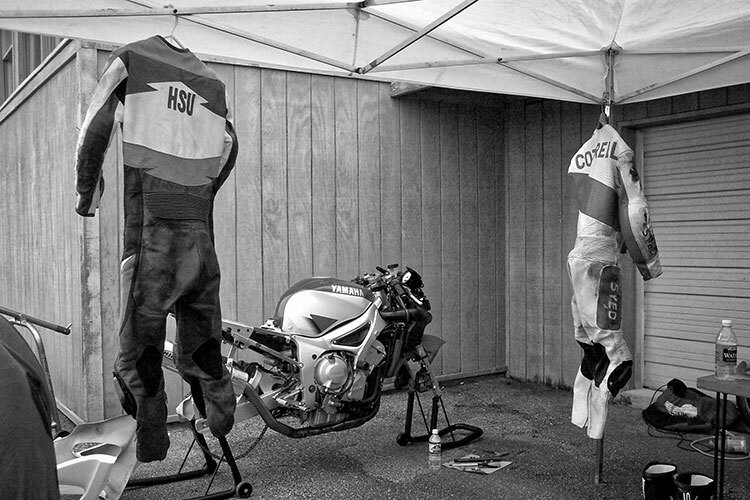 WERA is one of, if not the largest and longest-running amateur and semi-professional road racing series in North America. In a typical season WERA organizes eight to ten national championship races and sanctions more than 30 race events across six regions. 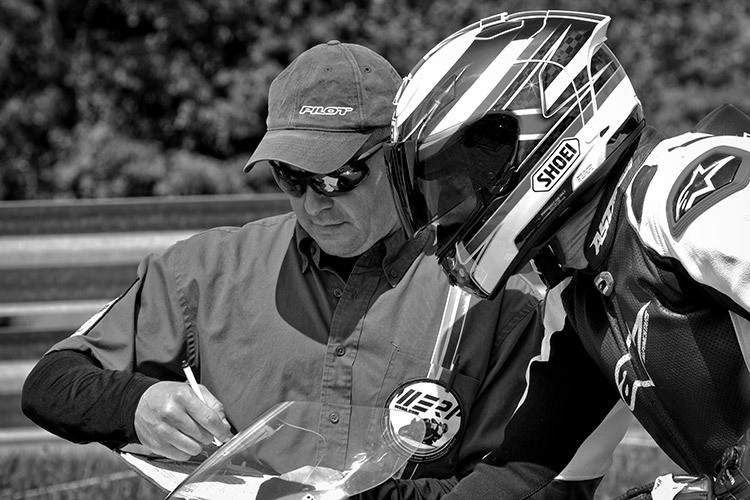 One of WERA's significant contributions to moto-racing in the U.S. is the variety of competition classes and experiences available to riders of all skills. Briefly known as the Eastern Racing Association before expanding to sanction both "western" and "eastern" races, WERA traces its official beginning to 1974. 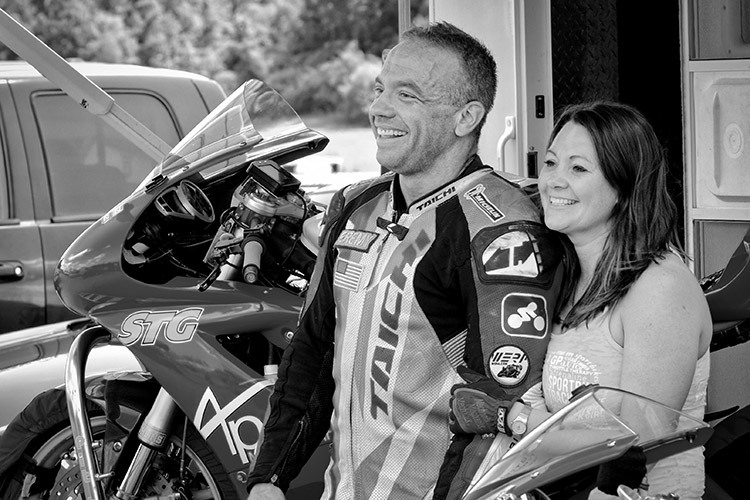 Since then, tens of thousands of racers have learned basic race craft in WERA racing schools and gone on to compete at the novice and expert levels. 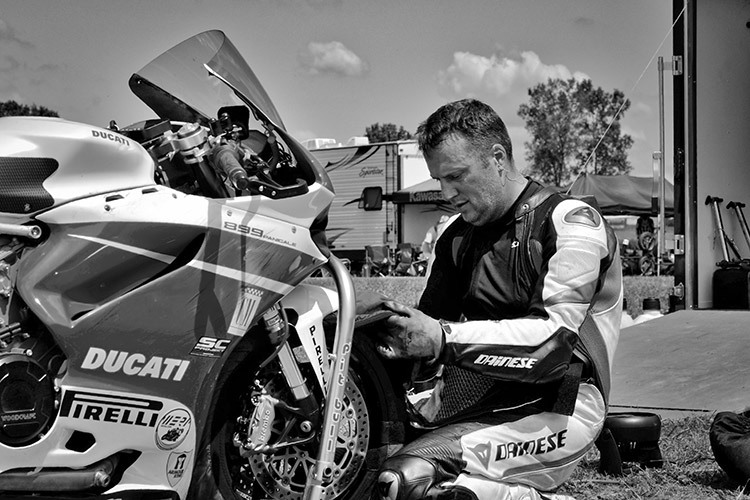 WERA has supported the beginnings of many national and international championship riders from the U.S. The number of race classes and sub-categories validate WERA's declaration, "If you ride it, we race it." In the National and the Sportsman (regional) Championship series, 10 competition classes exist, with rules defining dozens of machine configurations eligible to race in each class (e.g., displacement, no. of cylinders, valves per cylinder, 4-stroke vs. 2-stroke, etc.). These classes also frame the Endurance and the Vintage championship series. 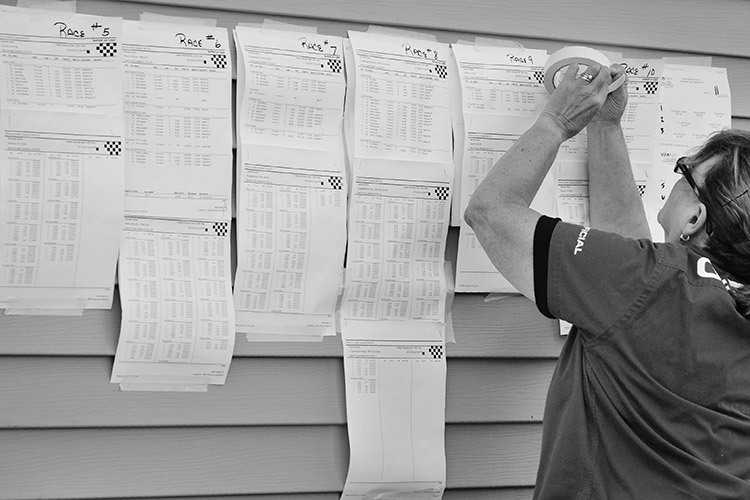 Separate classifications for Novice and Expert racers for each competition class add up to a vast number of opportunities for competitors and an equal challenge for scorekeepers to track! Going solo is typical for an amateur racer in the first season: rider, tuner, mechanic, driver, pit crew and food services rolled into one. Competing solo doesn’t mean being alone. The paddock camaraderie, even in a highly competitive series, leads to friendships and improves the depth and quality of the whole series. A new rider will receive the advice, a helping hand, tools, and maybe even the loan of parts to keep them racing through those first race weekends. 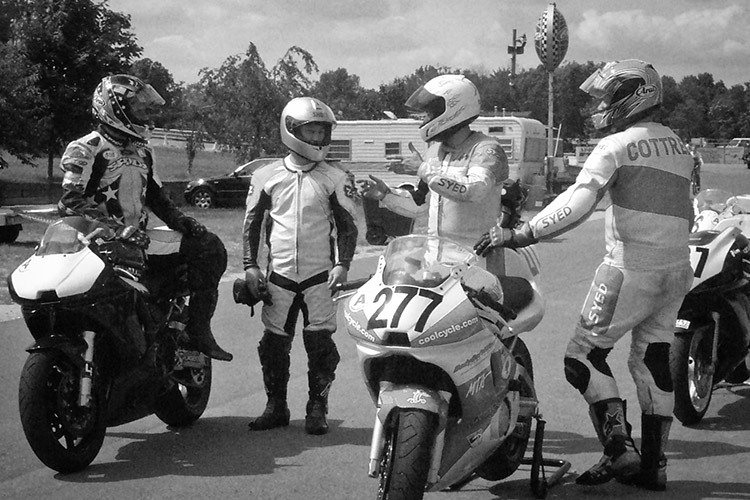 Most racers who persevere through the first season or a second year will usually find connection with other riders of like mind and similar experience. Mutual support might simply be setting up trailers next to each other in the paddock area, or eventually combining forces to create an unofficial team with shared logistics - and aspirations. Race prep is not limited to the machine. It is said that the length of an amateur racer’s career is determined by the size of their credit line. To take some of the sting out of the heavy cost of racing, motorcycle and accessory manufacturers pay contingency money or free product based on a rider’s race results (a rider competing in multiple race classes can easily chew up two sets of tires in a single race weekend - at $300 to $400 a pair). Racers must apply to suppliers before each season to qualify for contingency payouts. To make sure thet get credit for contingency money, race officials meet the rider on the pit lane after each race to record the rider’s finishing place and their sponsors to validate contingency claims. 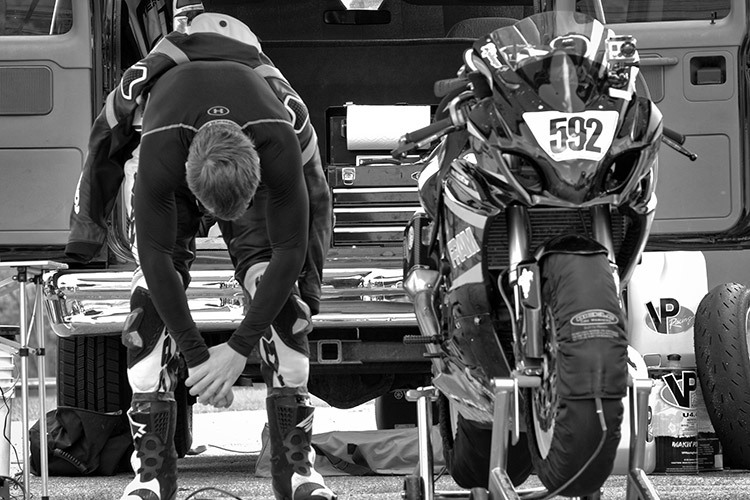 WERA runs both sprint races (typically 6 to 12 laps) and endurance events ranging from 4 to 24 hours. Many endurance teams specialize in the long events. But some endurance event teams are made up of sprint racers who have enough shared interest and trust in one another’s race craft to put one of their bikes on the track for the team. 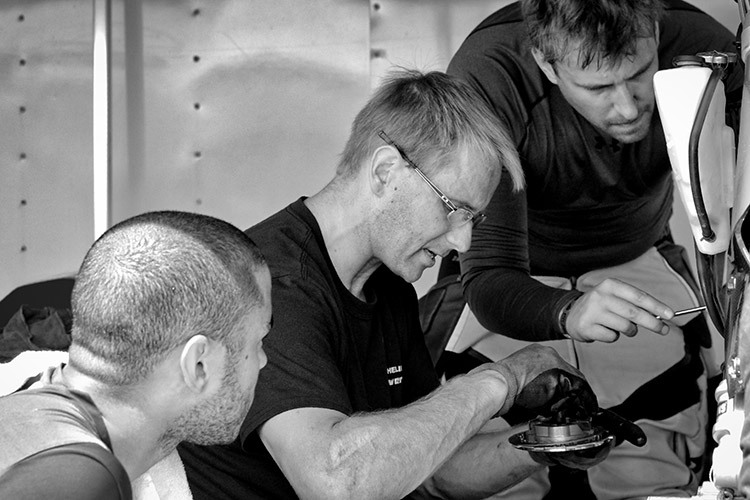 Four racers with several years of experience in the sprint series discuss track strategy for entering an upcoming 4-hour endurance race at Grattan Raceway in Michigan. 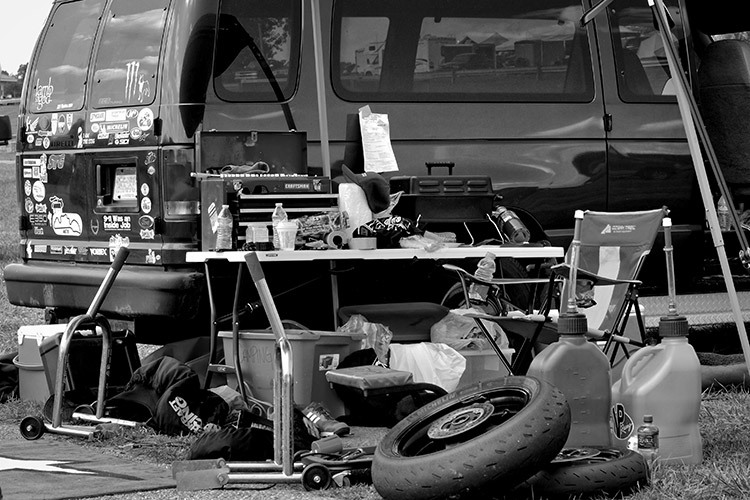 An amateur pit typically consists of the bike hauler (van or a trailer), a place to lay/put/drop tools and gear, and a folding chair. The arrangements vary. As a racer gains experience, and with the funds to keep racing, along come friends or a partner interested enough to transcend spectatorship to achieve full team status. Having a qualified team member (above) to help with race prep can be the difference between lining up on the grid focused on the start, or the less confident last-minute-I-hope-I got-this-covered pre-start check. Good race prep has its rewards (and pays contingencies). Here, it’s a first-place finish. 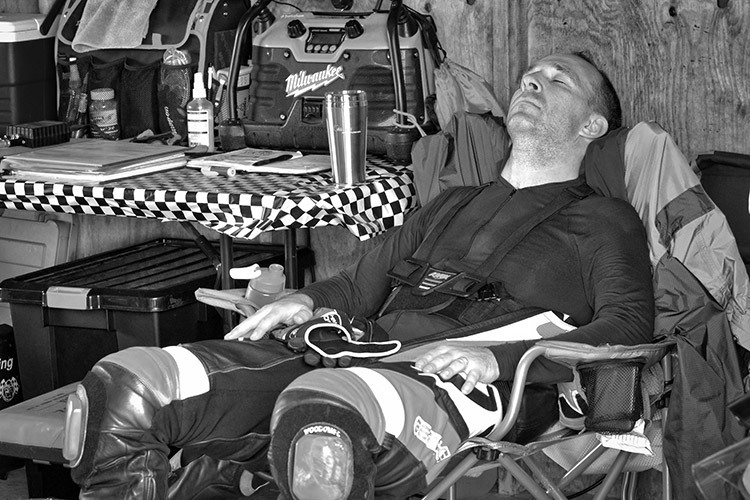 Summer heat, the adrenaline rush from competing in multiple events, and a drive that probably started at 5am to get to the track all add up - to a nap.